A statement reporting that under-fire President Abdelaziz Bouteflika has sacked the head of the army, Ahmed Gaid Salah, has been released with all the hallmark's of Algeria's presidential office. A source inside the presidential office said the memo was genuine, however, the Algerian Ministry of Defence issued an immediate denial. The document below outlines frustration with the army by the political leadership and accusing the military of a coup. "Following the unconstitutional interference of the army leadership in the political matters of the country and in light of unfolding events that are against the higher interests of the country, hundreds of republican forces are besieging the presidency headquarters, other official residences as well as TV premises in blatant violation of the rules of the Republic," the memo reads. "This is nothing but a coup against the legitimate institutions of the state. For all these reasons, the president of the republic as his quality of commander of armed forces has decided to put end to the mission of the deputy defence minister and army chief Mr Gaid Salah." "The president of the Republic has also decided that Mr Salah will be urgently submitted to a military interrogation," it continues. "Under these circumstances, the president calls upon all the Algerian people to stand beside the legitimate institutions to put aside all political disputes to stand with honest leaders in a bit to save the country from military dominance." Straight away came the denial from the Ministry of Defence. But it doesn't end there. 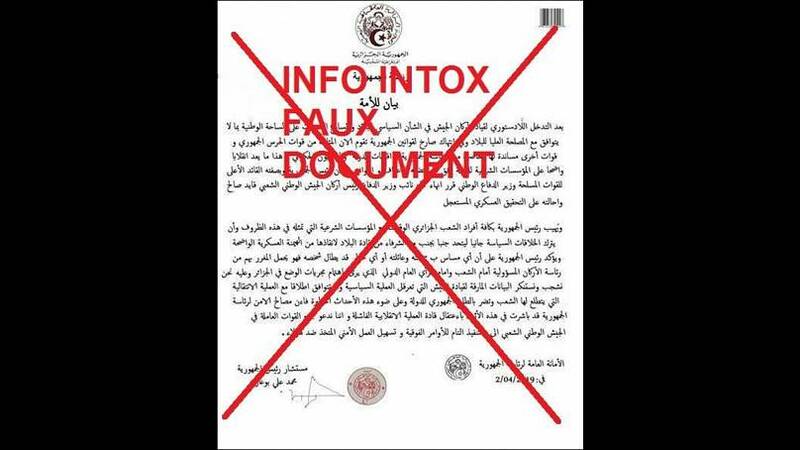 Following the release of communique attributed to the presidency, Bouteflika adviser Mohamed Ali Boughazi denied he was behind the move, and that the content is fake, despite the document appearing to bear his signature. This war of information highlights the schism in the north African nation's power structures. Gaid Salah was until recently a close ally of Bouteflika. But from that moment he withdrew his support, the presidential "clan" decided to respond. These struggles at the top level are not likely to disappear when the ailing president resigns some time before or on the 28 April. Click the link below for more. 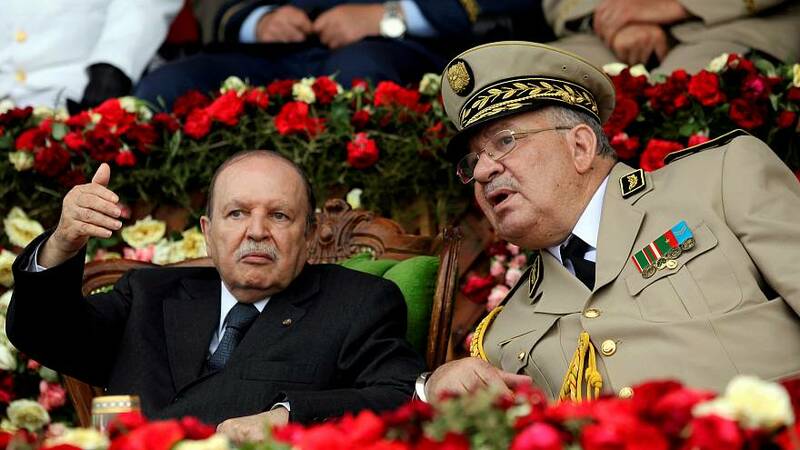 READ MORE: What happens after Bouteflika resigns?